This is my take on the 5 Best CCW Handguns, for 2018 - 2019. You'll find them commented on tens of thousands of times elsewhere. But this is my turn, with comments based on a diversity of factors listed below. I base these conclusions on my experience with these handguns. Not on some list of guns I gather to make a page that search engines like, but do not provide a solution for the readers. Shooting, training with, and carrying them in various situations, I wrote this evaluation of the best guns for concealed carry based on how these guns are built, and on their dependability. Some of the factors listed here will not apply to some readers of this site. 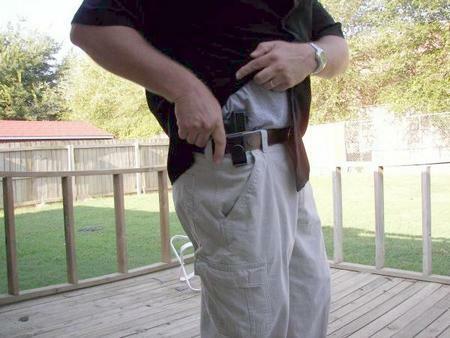 But it will give you some ideas about what to consider when deciding what and how to carry your handgun concealed. I've used broad strokes to describe what I do and why I choose these as the best concealed carry handguns. But considering how many people I now know who use/carry guns, this evaluation more closely represents most average citizens than lots of the online warriors. Various characteristics of each gun below will be rated from 1 - 10. A 10 will mean in our experience, it has not failed. A 1 will mean it failed miserably (but won't actually make this review, so irrelevant). You get the idea. 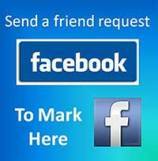 Get the best legal defense in the country for firearms self defense. You pick the caliber. 9mm, .40 S&W, or .45 ACP. Smith and Wesson has them all covered in the Shield. And now, these smaller M&P guns are being produced with M2.0 features like their larger, full size and compact cousins. The two we own are the 9mm and .45 ACP. At this writing, this line of concealed carry guns is arguably the most popular in the United States. And there are plenty of reasons for that. Concealable Size Rating: 8 - It got an 8 only because if it were smaller it would be a "pocket gun", and that's another kind of article altogether. Flat, compact, easy to holster or tuck in a tactical bag or concealed carry purse. It is also well carried with a pouch in a jacket pocket. Concealed Carry Dependability: 10 - So far we have not had any failures with either model we own. All the guns in the Shield line are known to be ridiculously dependable. I have owned the 9mm, that was passed on to my daughter for her birthday. Through extended range sessions it shot any factory ammo without a hiccup,. Ball ammo, hollow points, brass cased, aluminum, forged steel. It never fails. The .45 ACP has followed suit. 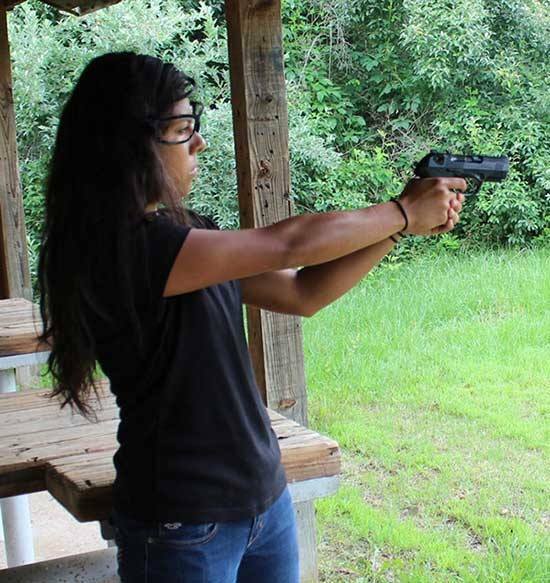 Concealed Carry Handling And Control: 7 - And with the larger magazine, most people can get a full grip, even on a concealed carry gun that has to be classified as a (large) sub-compact. That said, in a gun this size, center fire calibers are snappy in any of the calibers listed. Practice is important to gain confidence and accuracy. 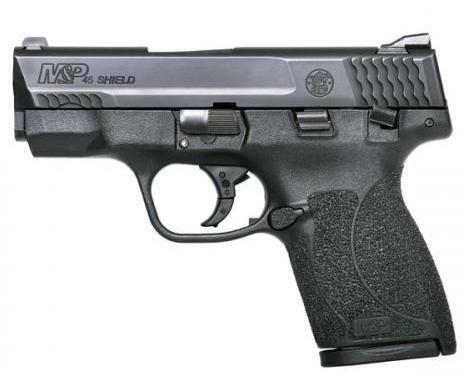 When I parted company with my 9mm Shield, I promptly replaced it with my now most often carried firearm, the M&P Shield in .45 ACP. The question arises, "Can you control it?" You bet I can. You can too. Man or woman. Full grip, .45 ACP in ball ammo, hollow points, any grain size. It just takes practice for confident accuracy. 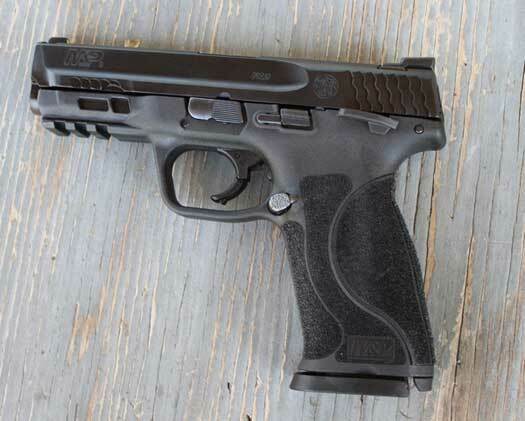 Any caliber or model of the Smith and Wesson M&P Shield shows why S&W hit it out of the park with this best concealed carry handgun of 2018. The accessories below will improve your accuracy with the night sights, improve your shot placement with the Crimson Trace laser, and allow you to carry your gun effectively, and in comfort. Concealable Size Rating: 6 - The GLOCK 23 is a compact concealed carry handgun which always means a gun that is not "pocket sized", but is a gun that is shortened from standard duty pistol size. The barrel is a bit shorter than the G22, as is the grip. Made to conceal on-body in a holster. The GLOCK 23 provides a concealed carry gun that does not have the tendency to print, as the G22, but still provides a full grip, and fast sight acquisition and alignment. This is a gun to be carried on-body in a quality holster for safety and best acquisition and use. Concealed Carry Dependability: 10 - I've owned shot extensively, and carried a G23 for about 9 years now. Thousands of rounds of every kind of commercial ammo and reloads have proven its dependability. No failures in all that time with all those loads. The model shown is a Generation 3 model. A full line of Gen. 4 models are available, and some Gen 5s are on the market at this writing. All with legendary GLOCK dependability. 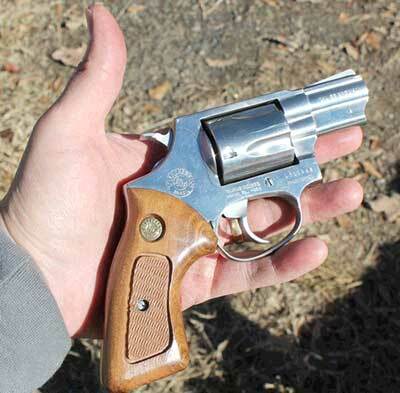 Concealed Carry Handling And Control: 7 - I have given it this rating because of the caliber of the gun shown. With its light weight and shortened size, it is a snappy gun that can be challenging to some shooters. That said, with practice, it can be mastered by any man or woman in reasonably good health. It is a pistol that provides a full grip and controlled hand purchase of the gun frame when shooting. 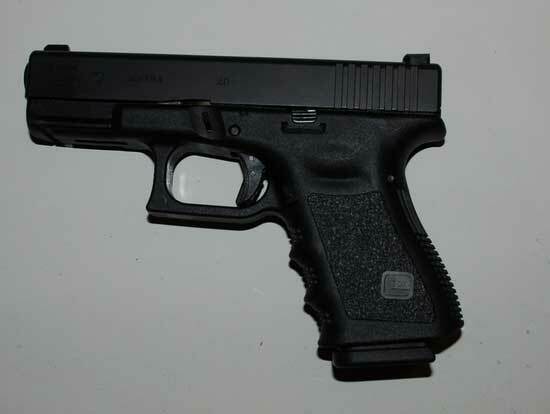 NOTE: The GLOCK 19, 9mm model is the exact same size as the G23 with less recoil from the round. A concealed carry handgun favored by many experienced gunners, the G19 is a good alternative to the G23. Less recoil, easier to control. And with today's advanced ammunition, you are well armed with 9mm ammo. That said, as a Best Concealed Handgun, the GLOCK 23 in the .40 S&W caliber, is an effective self defense gun of proven worth over many years, and untold thousands of owners. The one I carry has an improved trigger for carry, and steel night sights. I put the hammer fired Beretta Storm here, as a possible alternative to the striker fired GLOCK. It can be carried ready to fire, but "de-cocked" and safe to handle and move without clearing the chamber. This makes it more versatile, though with a bit more of a learning curve to work and shoot. Concealable Size Rating: 7 - Again, a compact model handgun, making it a weapon that is made for a holster, pouch or carry device with cover for the trigger guard. However, it can be carried or stowed, ready to fire without a holster in the de-cocked position. For many gun owners this versatility is the deciding factor in this type gun ownership. 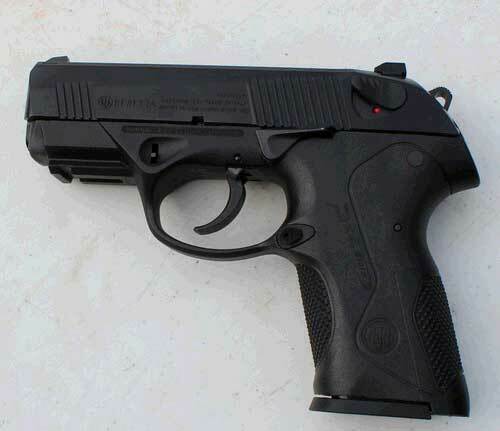 Concealed Carry Dependability: 10 - Among the best of the best hammer fired, concealed carry handguns in confidence of shooters, the Beretta Px4 Storm tops the charts. With no failures in ours, it ate up all kinds of .40 S&W ammo without a hiccup. The 9mm models will operate just as well. Again, the lower caliber may suit some people better. In this gun, either will arm you sufficiently. Concealed Carry Handling And Control: 8 - Slightly better than the GLOCK 23, the Beretta's single action trigger pull, recoil control from the rotating barrel, and more comfortable grip, give this one a high rating. It is an excellent, controllable gun for any man or woman willing to put in some practice with the de-cocked trigger pull, and subsequent firing. Of the Best CCW Handguns, this one stands tall in all respects of usability, and is a pleasure to shoot. The S&W Military and Police M2.0 is a full size duty pistol. For those who want to carry a full size, highly controllable, and dependable pistol, holster up. This is it. Concealable Size Rating: 6 - With the right holster, and proper clothing, this gun can be carried by many people who are willing to adjust to carry one of the best choices available for self defense. A full size pistol. That doesn't mean it can't be concealed. It just takes a little more thought. Concealed Carry Dependability: 10 - As with the other guns, with thorough shooting and testing, it has had no failures with any type ammo. If it had any failures it wouldn't have made this list. S&W's Military and Police line is a winner, from their biggest, full size pistols through the Shield line. All dependable enough to bet your life on. Concealed Carry Handling And Control: 9 - The most controllable on this list, I carry this gun regularly, especially when I am going into very crowded locations. The improved trigger, ergonomics, grip, and controllable weight with 9mm ammo make it a viable choice for carrying in locations where extreme care and top accuracy may be needed if an emergency arises. This gun is my clear favorite to shoot as of this writing. My ability to grip, move with the gun, and make fast, accurate follow up shots, makes it worth the extra effort to carry. If you are inclined to the confidence instilled by a larger, more controllable gun, this will be worth your time and effort too. "J-Frame" is a designation originated by Smith and Wesson. It has become generally descriptive of small revolvers within a size range that makes them highly concealable. Concealable Size Rating: 8 - All revolvers are a little challenging to hide because of the round cylinder that adds width to them. That said, this size range makes them guns that can fit almost anywhere, and makes dependable deep concealment possible when nothing else can. 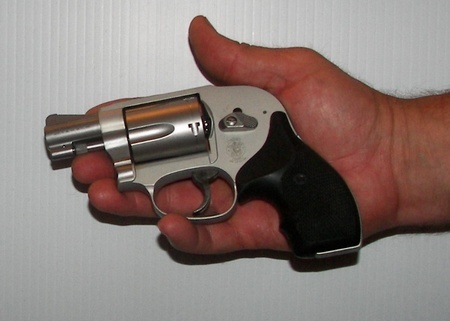 Concealed Carry Dependability: 10 - I've never owned a revolver that was not dependable. The J Frames I've owned were reasonably accurate, and shot every time the trigger was pulled. For years. Concealed Carry Handling And Control: 6 - These are revolvers that are very short, light, and challenging to control. The double action trigger pull is notoriously heavy and makes them hard to keep on target. In single action, they are more controllable. However, these are close up self defense concealed carry handguns. Anyone owning and carrying one, just putting it in a pocket or holster, never practicing and thinking everything will work out fine .... it won't. They require practice. Lots of it. But they work for what they're made for, and are worth owning and learning to use. IMPORTANT: More than individual brands, these represent types of carry handguns. There are other good brands and models resembling these with the same type action. These are just the specific ones I can vouch for. Those are my picks for the Best CCW Handguns for 2018 - 2019. I tried to keep the information on the lists broad, without just personal preference given. The guns are of a size, performance and general quality to serve just about anybody well. That is, they will work well for most people who will take the time to practice and figure out the best way to carry.